Don’t let the weekend stop you from completing your welding projects. At T & R Welding Supplies we have welding supplies available on the weekends. We’re open from 10-3 on Saturdays. 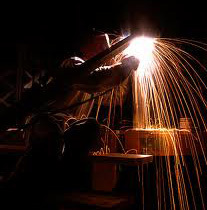 Our welding supplies are durable and allow you to complete any type of welding project. 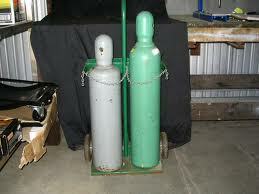 Welding supplies include torches, oxygen regulators, acetylene regulators and other welding supplies. 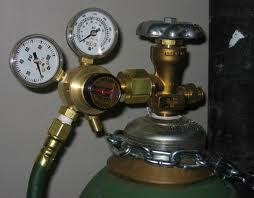 Looking for reliable oxygen and acetylene regulators? Look no further than T & R Welding Supplies. Our oxygen and acetylene regulators give you proper control pressure from your tanks to the right pressure in your hoses. You’ll get accurate flow rates and constant inlet pressure. With the right oxygen and acetylene regulators you’ll get the flame temperature you need to complete welding projects. You need welding torches that are reliable and give you excellent cuts and welds. T & R Welding Supplies has the welding torches you need. We have cutting torches for heating and cutting materials. Need a welding torch for bending and straightening? Choose our rose-bud torches. Ask your Welding Supply Specialist about our welding torches. Small welding machines give you versatility on the job. 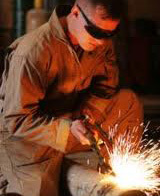 Welders are asked to weld and cut materials in all types of spaces. Small welding machines are used for different types of applications. These include use on construction sites, auto repair shops, roadside applications and race cars. We supply small welding machines for all types of welding projects. Our small welding machines are versatile, powerful and can be used anywhere. Do you have a Kegerator in your home? We refill and exchange CO2 tanks for your Kegerator. With CO2 refills and exchanges you can continue making beer with your Kegerator. Our CO2 refills and exchanges are affordable and fast. You’ll be making beer in your home before you know it. The CO2 refills and exchanges are convenient for special events or just making beer at home. Don’t waste time and money with slower and more expensive CO2 refill and exchange services. Choose T & R Welding Supplies for your CO2 refills and exchanges.